I-395 will be grand, again. The plan to build a new signature highway span to replace the now-horrendous I-395 that divides downtown Miami is back. FDOT had originally planned a monumental bridge to garner public support for the project, then pulled out a “bait & switch” on the public with a much more plain jane (as the Miami Herald called it) varietal called a “segmented span”. 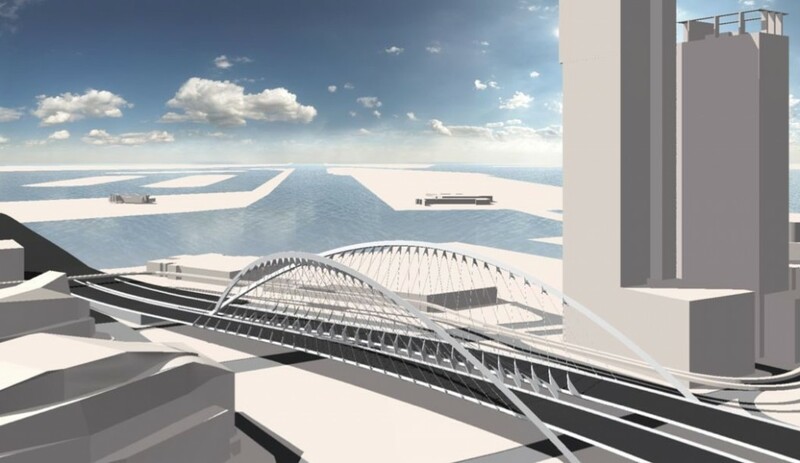 Even the name was boring, as commissioners and just about everyone knew as they reacted with shock and horror, and FDOT was quickly slapped with a lawsuit by no less than Mayor Regalado and Commissioner Sarnoff. Major retailer Walmart is set to open one of its Supercenters at a Pompano Beach site next week. The 93,000-square-foot store officially opens at 5001 North Federal Highway on Wednesday, the Sun-Sentinel reported. Walmart is closing a 117,000-square-foot store four miles away at 300 West Copans Road in conjunction with the Supercenter opening, and snagged 41,000 square feet at Palmetto Gardens Plaza just last month. 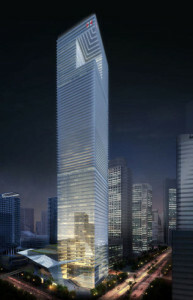 One Brickell CityCentre, the tower being planned by Swire Properties to cap off the Brickell CityCentre megaproject with a triumphal frontage on Biscayne Boulevard will be—if the Federal Aviation Administration let’s them have their way—the tallest building in Miami, easily trumping the next tallest, the 830 foot Panorama Tower that Tibor Hollo is building nearby by 270 feet for a grand total of 1100 feet in height. Btdubs, it’ll also be the tallest building south of Manhattan, taller than the Chrysler Building, and the tallest building in the U.S. outside of New York and Chicago. Finally, following the official definition of the term, which is a building over 1,000 feet, One Brickell CityCentre will be Miami’s first ‘supertall tower. Welcome to the favorite winter meeting place for the international art world. At the nexus of North America and Latin America, this Art Basel show presents premier artwork from across the globe. Over 250 of the world’s leading galleries participate, drawing over 50,000 visitors each year. With miles of sandy beaches dotted with classic Art Deco architecture, world-class art museums, and a glittering nightlife, Miami Beach ranks among America’s most iconic cities. 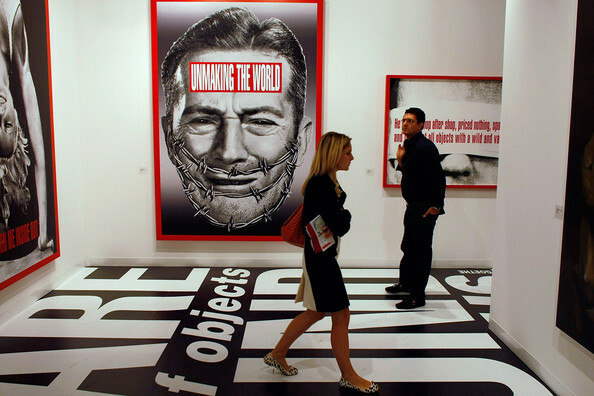 During Art Basel, it embraces the artworld with special exhibitions at museums and galleries across the city, transforming the week into a dense and dynamic cultural event. A Tony Robbins Peak Performance Workshop! Swire Properties Inc. announced details of a dramatic addition to its Brickell CityCentre project with the unveiling of an 80-story, mixed-used tower at the 700 Brickell Ave. location the developer purchased in July. The developer plans to include retail and Class A office space, condominiums, and a hotel, plus a restaurant and lounge at the 700 Brickell site, which currently is the Northern Trust Bank tower. The tower will be called One Brickell CityCentre and will be located at the eastern edge of Swire’s massive $1-billion-plus project. “Our goal is to develop a structure that will be artful in its mix of uses and will advance Brickell Avenue’s stature as Miami’s premier destination,’’ Stephen L. Owens, Swire’s president, said in a statement. Gloria Estefan is renting out an absolutely adorable guest house she owns on Star Island for $30,000 a month, or the whole guest and main house spread for the even grander sum of $75,000 a month, like it’s some new thing, which apparently it is until you Google it. Both are at 1 Star Island Drive, a place in the called Nena’s Villa. (or Nena Villas, we’ve seen variations on the spelling) And it looks like Gloria herself have been renting out both for quite some time. Years, maybe.